The beakro design is a response to the increasing desire to scale down percolation systems. 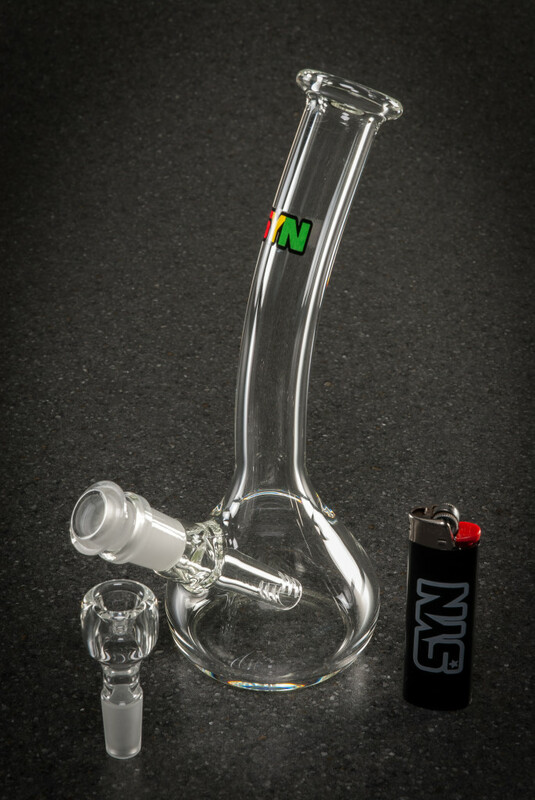 This is a hand crafted miniature beaker featuring a bent neck, a staple of the SYN line. Adaptable to concentrate systems, this tube is a balance between time tested beaker influence and the new school of smaller volume.